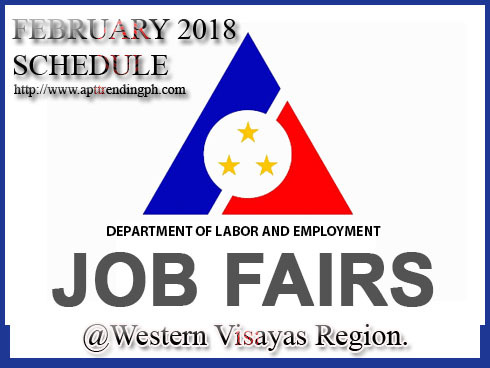 Home DOLE Job Job Fair Vacancy Job Fair List for February 2018 in Western Visayas Region. Job Fair List for February 2018 in Western Visayas Region. This post provides the information for the available Job Fair listed by Department of Labor and Employment - DOLE job portal.